As consumers we are all used to looking for the symbols that reassure us that we are spending our money ethically, wisely and sustainable. Logos such as the little red tractor assure us that our food is UK produced, meeting high welfare standards, regularly audited, the kite mark again gives us comfort and reassurance that we are purchasing well-made quality tested products. 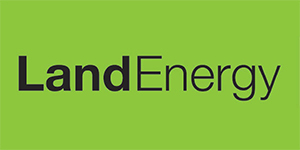 The Biomass Suppliers list, is a list of Renewable Heat Incentive (RHI) eligible wood fuels. These wood fuels can be registered on the list by biomass suppliers as long as they meet certain criteria. 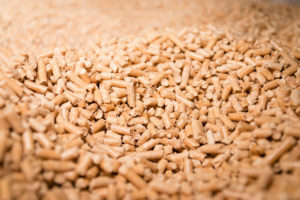 Under these criteria the wood fuel must meet a lifecycle greenhouse (GHG) emissions criteria of 60% of GHG savings against the EU fossil fuel average long with certain land use criteria details of which can be found at http://biomass-suppliers-list.service.gov.uk/. The BSL is essentially a sustainability scheme which while it is important that the wood fuel you use is from a sustainable source and not damaging the environment it is not a guarantee of the physical quality of the product. It essential to understand that the BSL does NOT guarantee the burn performance of pellets and does not take into account the performance of attributes such as the calorific value, moisture and ash content. Whereas the ENPlus A1 quality standard sets out very clearly the minimum performance levels that can be expected from a product carrying its mark. However; the ENPlus A1 doesn’t just focus on quality it also combines clear sustainability requirements of the pellets. The quality and sustainability demands of ENPlus A1 are clearly laid out in detail in the ENPlus handbook which can be found at http://www.pelletcouncil.org.uk/enplus. 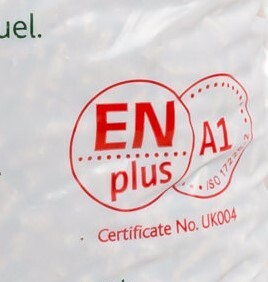 Concluding, while the BSL has a place in ensuring you meet the criteria to claim your RHI, ENPlus A1 is the only standard that truly integrates quality and sustainability to gives you the consumer complete confidence that they are purchasing a product that will deliver a high level of heat performance without compromising the environment.